Mayor Riley is widely considered one of the most visionary and highly effective governmental leaders in America. He served 41 years as Mayor of the City of Charleston from 1975 to 2016. In his time as Mayor, Charleston transformed from a decaying urban center to a top cultural destination. He is known for his innovative redevelopment projects, carefully crafted to add to the overall quality of life in the city. He diffused racial tensions by working closely with the African American community. The crisis leadership that he demonstrated after Hurricane Hugo in 1989 gained national praise for getting the city quickly cleaned up and running. Today, Riley is professor of American Government and Public Policy at The Citadel and Executive in Residence at the Joseph P. Riley, Jr. Center for Livable Communities at the College of Charleston. He is a Distinguished Fellow of the Pew Charitable Trusts, working on smart solutions for flood-prone communities and the national government, and the first Distinguished Visiting Fellow at the Urban Land Institute. Riley is also currently working to build the International African-American Museum, a $75 million project scheduled to break ground in 2018. Under his leadership, Charleston increased its commitment to racial harmony and progress, achieved a substantial decrease in crime, experienced a remarkable revitalization of its historic downtown business district, supported the creation and growth of Spoleto Festival USA, added significantly to the City’s park system including the highly celebrated Waterfront Park, developed nationally acclaimed affordable housing, and experienced unprecedented growth in Charleston’s size and population. Mayor Riley led a city government with an impressive record of innovation in public safety, housing, arts and culture, children’s issues, and economic revitalization and development. The City of Charleston is recognized as one of the most livable and progressive cities in the United States. Riley has held numerous national leadership positions and received many awards and distinctions. President Barack Obama presented him with the 2009 National Medal of the Arts for cultivating Charleston’s historic and cultural resources to enhance public spaces, and for revitalizing urban centers throughout the U.S. as the founder of the Mayors’ Institute on City Design. The American Architectural Foundation and the U.S. Conference of Mayors in 2010 created the Joseph P. Riley, Jr. Award for Leadership in City Design in his honor. He received the American Society of Landscape Architects’ 2004 Olmsted Medal; Governing Magazine named him their Public Official of the Year in 2003 for “leveraging the power of urban design and civic space.” The American Architectural Foundation honored him in 2002 with the Keystone Award for exemplary leadership to those who use architecture to transform their communities. He was named one of the 2004 Giants of Design by House Beautiful Magazine and received the first U.S. Conference of Mayors President’s Award in 2000 for outstanding leadership. He has received the Seaside Prize from the Seaside Institute for exemplary leadership and contributions to high-quality urban design throughout America. He received the Outstanding Mayors Award from the National Urban Coalition, the Distinguished Citizen Award by the National Association of Realtors. 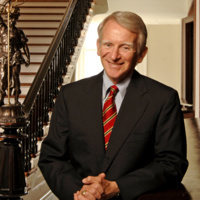 Mr. Riley graduated from The Citadel in 1964 and the University of South Carolina Law School in 1967, and served in the S.C. House of Representatives from 1968 to 1974. He served as President of the U.S. Conference of Mayors in 1986-87 and has received honorary degrees from ten colleges and universities.